This article is by Robert Merkel, Lecturer in Software Engineering, Monash University. It originally appeared on The Conversation. opinion/analysis A virus attack on the computer system of one of Melbourne’s largest hospital networks is cause for concern because it affected machines running Microsoft’s Windows XP, an operating system no longer supported by the software giant. A report this week in The Age said a “computer virus” has affected Windows XP systems across the hospital, interfering with the delivery of meals and pathology results. Staff have resorted to “manual workarounds”, telephones, and fax machines to ensure continued delivery of these services. A statement from the Royal Melbourne Hospital said IT staff at Melbourne Health, the network that runs the hospital, were doing all they could to “restore the remaining Windows XP computers” as soon as possible. While critical patient treatment is, according to the hospital, unaffected, it has clearly been a major inconvenience for the already hard-worked staff of a busy hospital. While all IT systems are targets for hackers, health-care IT systems have not traditionally been thought of as attractive targets for cybercriminals. But the data they hold is highly lucrative in the hands of crooks. When you enter a hospital, a great deal of basic personal information, such as your name, age, date of birth, marital status, a variety of contact details, and possibly billing information including health insurance provider and banking details, is recorded. Cybercriminals can use this information to commit identity fraud. Over more than 12 years, Microsoft regularly released updates that fixed bugs in XP, including many security related patches. In any large software system, the number of bugs is never zero, and they can remain present but unknown for many years. For instance, the Shellshock bug which affected Unix systems was at least 20 years old when discovered in 2014. Web access statistics suggest that roughly 2.5% of Australia’s desktop computers still use Windows XP. While a few will have some protection due to support contracts from Microsoft, the vast majority are now completely unprotected. All users with an unsupported copy of XP, even if they have antivirus software, are vulnerable and should cease using the operating system as soon as possible. Organisations storing large amounts of private information are particularly likely to be attacked. 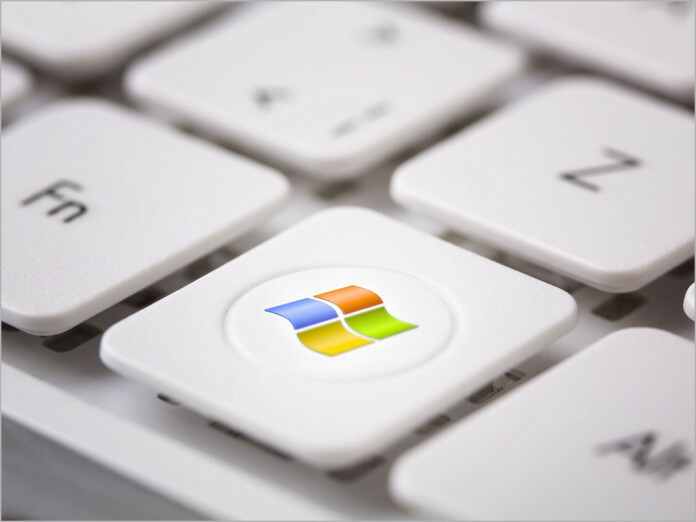 Home and small business users still using XP are likely to find that they will require a new PC if they wish to continue to use the latest version of Windows. Fortunately, low-end Windows PCs are cheaper and more capable than ever. Its pretty much a guarantee if for nothing else than the secure boot requirements the bios won’t have. That and windows being the ever increasing resource hog it is. MS is still providing support for XP, a US navy spokesman is quoted in http://arstechnica.com/information-technology/2015/06/navy-re-ups-with-microsoft-for-more-windows-xp-support/ as saying 100,000 worksations are still using XP and Office 2003.